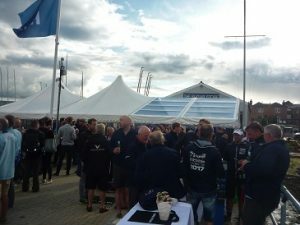 With a new venue, Shepard’s Wharf, Cowes and a new format this year’s Little Britain Challenge Cup for members of the construction industry took place recently and saw the events 30th anniversary. After some keen racing, with courses set by the Island Sailing Club, sailors enjoyed the hospitality of Shepard’s Wharf especially the ‘pier’ venue and ‘Sugar Store’. After a tough two days sailing in light shifty conditions CP Electronics are Little Britain Challenge Cup 2017 Champions, they triumphed after 4 races in the Sunsail F40 Class and took the overall Cup too. Salter Demolition headed IRC class 1, Lendlease won IRC class 2, Knight Build led IRC class 3 and Redreef and Steadberry finished in the winning line up in the Cruiser class. 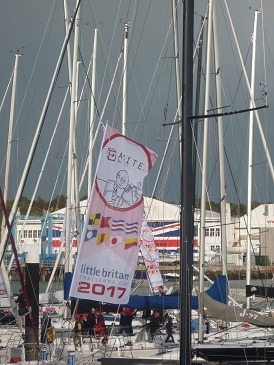 More than 40 boats entered the regatta including well known yachts often seen racing off Cowes such as La Response on this occasion being crewed by colleagues from Sir Robert McAlpine Ltd.
Everyone spoke highly of the welcome they had received. Angus Bates of Hill Street Holdings and his crew from Essex said that as regular visitors to Cowes Week, now sponsored by Lendy and participants in the Island Sailing Club’s Round the Island Race, they found this regatta suited their boat and crew well and they hope to return next year. Angus recalled how after finishing his RTI race in 2016 he flew back to Essex from Bembridge Airport with the sight from the aircraft of many boats still racing- a splendid sight! For those construction companies without their own boats Sunsail was on hand with charter boats for Little Britain much the same as for Lendy Cowes Week. Sunsail can provide boats with or without a skipper and/or trained crew members. After racing on Saturday crews enjoyed a party hosted by Holly Porter, founder of Surface to Air Architects and Amy Stephens from Chicks with Bricks. Both are trying to get more women into the construction industry as well as more of those women into sailing. 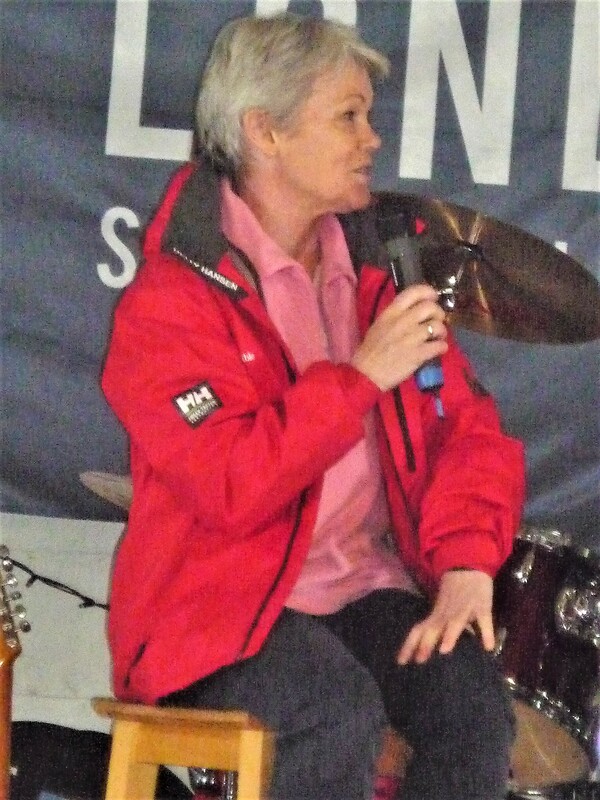 For inspiration to attract more of those potential women sailors there was a Q&A session with Round the World sailor Tracy Edwards MBE. 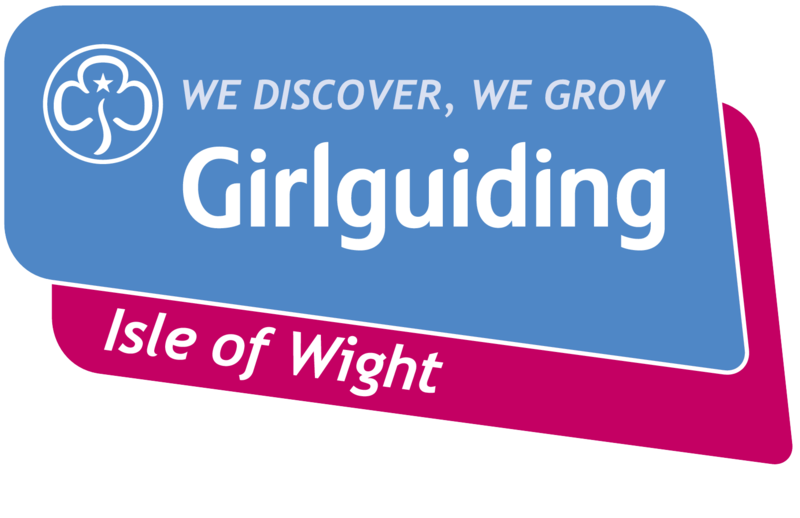 Tracy chronicled her life and spoke on her latest project- ‘The Maiden Factor’ which will not only see Tracy’s yacht ‘Maiden’ restored but will spread the message via a huge global campaign that every girl has the right to an education something that Girlguiding supports too. Tracy explained that ‘Maiden’, which sailed into the record books in 1990 returned home to the UK (Southampton)in 2017, 27 years after making history in the Whitbread Round the World Race with her all-female crew. In 1990 Maiden’s achievement inspired a generation of women when Tracy and the other crew members defied critics who believed it wasn’t possible for an all-female crew to take part in the Whitbread Round the World Race. ‘Maiden’ won two legs of the race and came second overall – the best result for a British boat since 1977. Tracy has worked tirelessly to bring ‘Maiden’ back to the UK and the boat’s restoration in Southampton will take some time, after which ‘Maiden’ will sail again, spreading the message via “The Maiden Factor”. Tracy has a number of supporters for the project including HRH Princess Haya Bint Al Hussein of Jordan. This year’s Little Britain focused on raising cash for three charities: the 1851 Trust, the Ellen MacArthur Cancer Trust, and the Cirdan Sailing Trust with the precise amount for this year TBC. However, over the past 30 years LBCC has raised over £1.25 million – with all profits going to charity.